2016 Volkswagen Beetle 1.8T w/ 5-Speed Manual * Only 25k Miles! Trim:1.8T w/ 5-Speed Manual * Only 25k Miles! 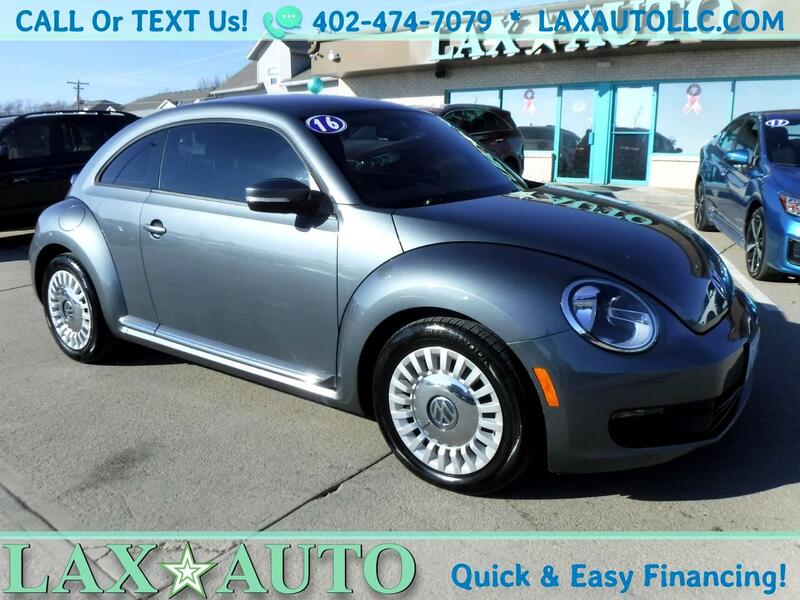 This 2016 VW Beetle is in truly an excellent condition vehicle. Recently traded-in. SE trim comes loaded with features including heated leather, a back up camera and 17 inch alloy wheels. Equipped with a 1.8L Turbo Engine with a 5-speed manual transmission. Accident-free Carfax, which also shows service/maintenance records. Clean/Clear Title. Serviced, detailed and ready for its new owner! Vehicle Inquiry for 2016 Volkswagen Beetle 1.8T w/ 5-Speed Manual * Only 25k Miles! Trim: 1.8T w/ 5-Speed Manual * Only 25k Miles!